Listening to Pandora is a popular thing to do with millions of people every day tuning in to their personalized stations, but are there some alternatives to the Pandora interface you can use to make things a little different? The answer is a resounding yes, because Pandora is based around, and the originator of, the open source engine behind the music streaming, and so numerous alternative clients have sprung up during Pandora's life, here we will look at the best Pandora radio player for different platform. iMusic for Mac can download Pandora music and play it from within its own media library offline, meaning you can listen to your favorite Pandora music without needing an internet connection. A great package offering zero loss recording of Pandora, iMusic for Mac can split tracks automatically and strip out ads from the music as it goes. 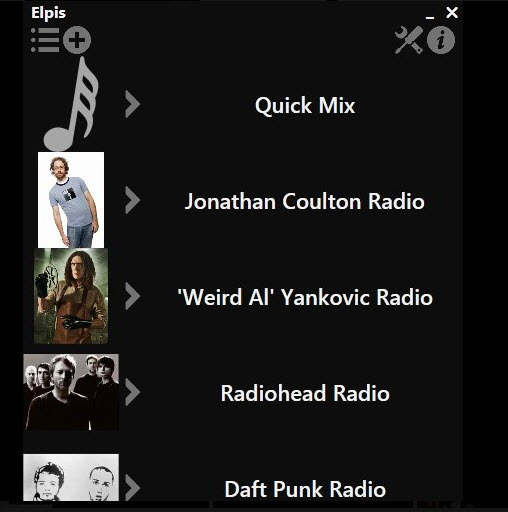 Free and open source, Elpis is a Pandora client for windows, which runs within the Microsoft .NET framework on more or less any windows machine around. It includes numerous features, offering the usual Thumbs Up/Thumbs down controls, along with the ability to display cover art and song info. 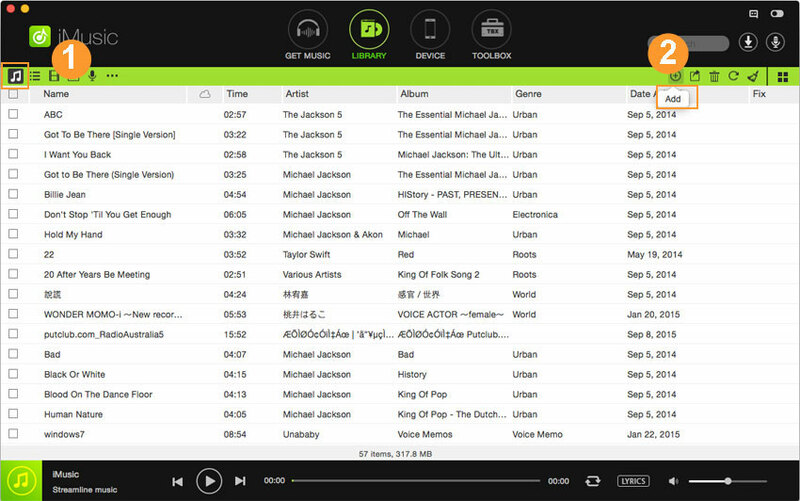 It can also launch the Pandora song page for any track or station, offers auto reconnect for timeouts and can automatically login to your account on launch. Elpis even includes Last.fm Scrobbling of your played tracks. Another free and open source offering, it is available for Windows only and offers a small footprint, easy to use application that covers the basics needed to play your Pandora stations. It offers the basic controls, allowing you to play, skip, save and Thumbs Up/Thumbs Down for songs, but nothing else, and is designed for those who just want a small, unobtrusive and resource light app to run and play Pandora as you do other things. And for that purpose, it does it very well indeed. This is a Mac OS X only player, it is again free to use and aimed at light resource needs to be used in the background. 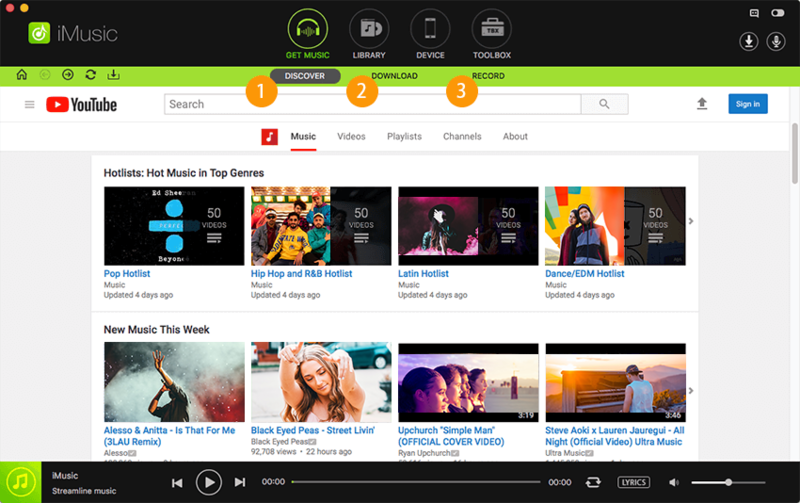 It offers the usual play, save and rating of tracks, and is another that includes Last.fm scrobbling within the package as well as the ability to create new stations without going to Pandora itself. This is a much more expansive package than the others; it is designed as an all-encompassing front end GUI for media consumption and is available on Windows, OS X. Linux, iOS and Android. 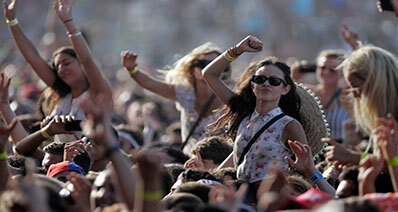 It is designed around the consumption of Movies, Videos and TV shows. However, it is also highly customizable and built around add on apps, and here is where we find Pandora. 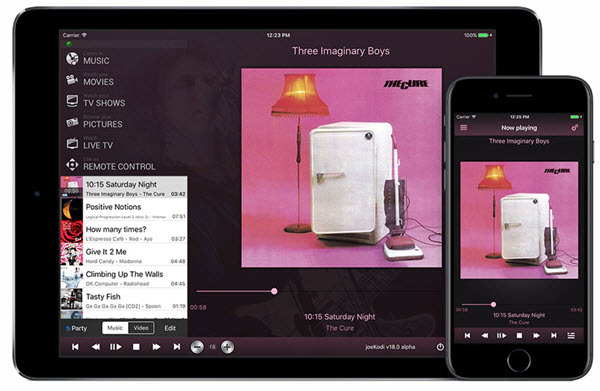 Once installed, the Pandora app fully integrates Pandora into the XMBC front end, and allows rating, track skipping, pausing and provides full track info and album cover as it goes. There are options for either MP3 or M4A file formats, with a choice of quality settings for each to further help tailor the output to your needs. In addition, iMusic can recognize and identify tracks as it records, and automatically tag the files with the correct title, artist, genre and album. These can, of course, be manually edited should you need to. For sheer versatility and options iMusic offers a complete package with excellent sound quality and the ability to listen to your Pandora stations advert free and on any device you would like, without an internet connection, and has to be the best option here. iMusic is perfect for downloading streamed music from Pandora, or indeed any other option because in addition to high quality recording, it offers the ability to understand what it is recording and remove gaps and ads from the music, additionally splitting tracks into individual files. The iMusic software also takes advantage of the ID3 tag system to add in the labels for Artist, Title, Album and Genre as it goes, making organizing and finding tracks so much easier. 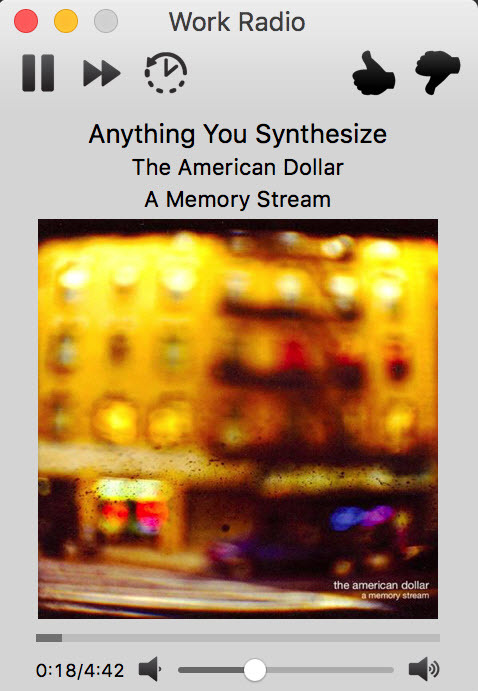 Pandora can be played from within iMusic for Mac in two ways. The first way is to download your Pandora Stations directly through iMusic and listen to them there, we will cover this now. Recording itself is as simple as can be, we will walk through it step by step. 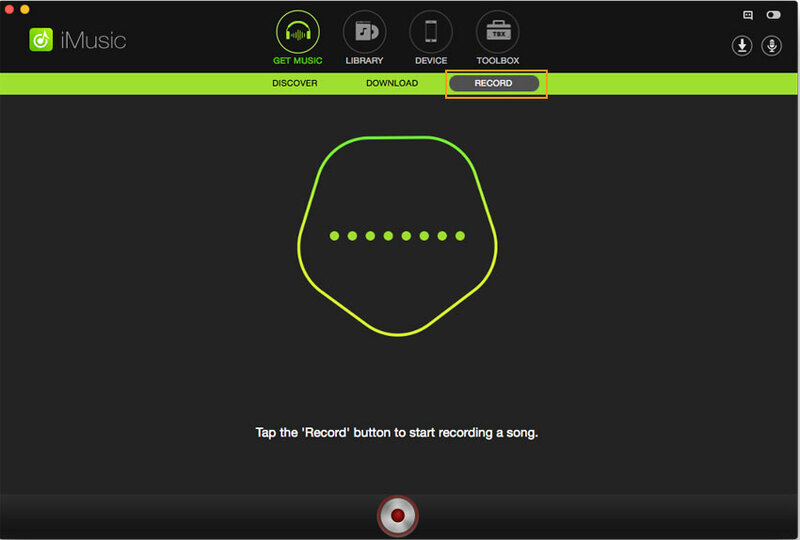 Click the "Record" button, preparing to record the song you’re going to play. Start your Pandora station that you wish to record. iMusic will detect the song and record it. During the process, the cover and artist for a record song will be added to the song automatically, making it quite easy for you to identify the songs in iTunes Library. You will be presented with your downloaded music, you can double click any track to play it, or alternatively use the cover flow graphical display to locate the track you want, and click it to play. The second scenario is playing previously downloaded Pandora music from another device, this is again simplicity itself. Click the library tab of iMusic for Mac. 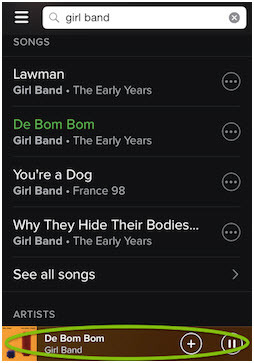 Drag the tracks you want to play onto the ‘All Music’ tab of the library. Alternatively, you can click the Add button on the top right-hand of the interface and then select File/Folder to load the music from your computer. You can then click the tracks to play them. One of the benefits of the latest mobile devices is connectivity and internet access wherever you go, this is one of the reasons for Pandora’s popularity, but whilst the official apps are great, you may wish for something a little different. Here are some alternative mobile clients to look at. 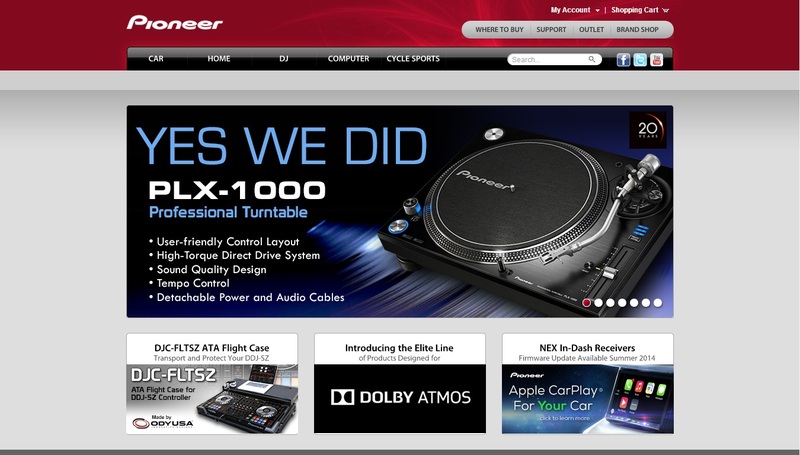 Pioneer offer a variety of audio units for vehicles that offer the ability to play Pandora stations directly. By connecting your android or iOS phone to the device, it then uses your phone’s connection to access Pandora and stream your stations. Mini includes Pandora as standard with all cars that have the Mini Connect Internet facility added. Using your mobiles internet connection you can use the built in Pandora app to stream your stations from the cars audio system, offering a convenient on the move Pandora experience with an easy to use interface. Chevrolet includes Pandora as part of its audio packages for its new models, once a suitable mobile device is connected to the car, it uses the internet access from the device to access numerous online features, but we are concentrating on Pandora. The implementation here is superb, Chevrolet provide a large touch screen with clear and easy to read display, and the Pandora app runs and sounds superb. Like Pioneer, Sony offer a range of replacement car audio units with the ability to use your mobile devices internet connectivity to stream audio, the inbuilt Pandora feature runs well, and is easy to use, with excellent screens that work extremely well when on the move. This is an example of factory integrated Pandora, and it really does work seamlessly and extremely well indeed. 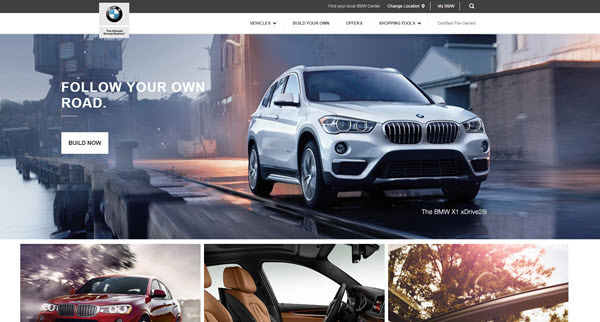 It is simply a question of pairing your Pandora equipped mobile device with the BMW car (that must have the BMW Apps option fitted), then launch Pandora on your device and you can then immediately use the iDrive controller to control Pandora, whilst the streaming audio will be automatically routed through the car's speakers. 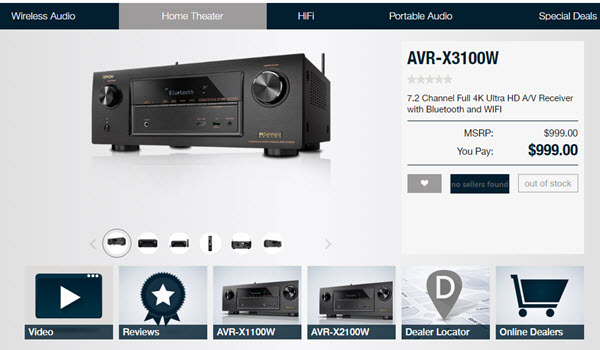 What sets Pandora part from other streaming services is its availability, Pandora is integrated into large numbers of devices, including as we have seen, cars, now let’s have a look at 5 of the best home receivers. A fully featured Hi-Fi receiver with a wealth of options for high-end audiophiles and simple interface and stunning sound quality for everyone. The Pandora integration is particularly neat, and the addition of a free remote control app for both iOS and Android for the device makes calling up your Pandora station, rating songs and skipping tracks simplicity itself. A wonderful product that can for the heart of a full home theatre with excellent sound quality and design. 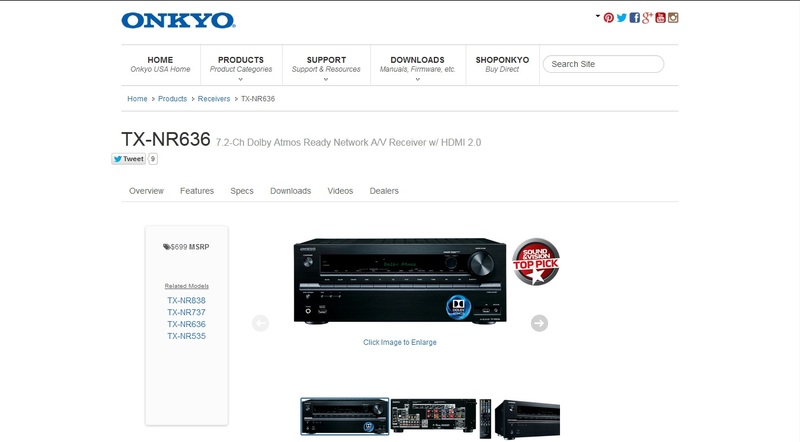 In terms of features this is a match for the Onkyo and in some areas even betters it. 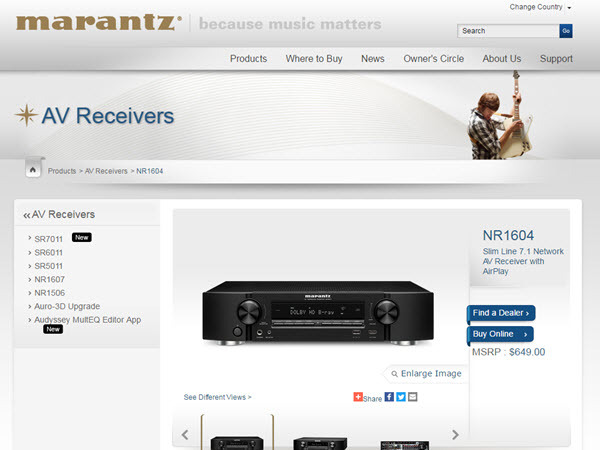 Huge connectivity options and a sound quality that befits one of the foremost audio equipment manufacturers in the market, it can cater to any need. Again, Pandora comes enabled out of the box, and whilst the front screen makes use possible as well, downloading the Marantz control app, again for iOS and Android, makes using the Pandora features so much more convenient. High quality from one of the very best in the industry. This one is from another highly rated audio manufacturer, and with similar specification to the other two is another fantastic option. In addition to the usual features, here we see Wi-Fi being added to the spec list, with apps available to aid control for iOS and Android phones. Denon have recognized the difference in usability of tablets however, and created specific apps for tablets to take advantage of the larger screen sizes, available for iPads, Android Tablets and the Kindle Fire. Adds new features and plays Pandora exceptionally either wired or wirelessly. This is something entirely different from the audiophile receivers we have looked at so far, Roku is a media streamer, perhaps most noted for its video streaming capabilities and usually found living under a TV. However, Roku also comes equipped with the ability to play your Pandora stations, you can rate your tracks, create new stations, skip tracks and so on with ease, and the sound quality is great. The hub of a streaming media system, it brings a lot to the table if you like all kinds of media, and has a great integrated Pandora component. Again, something different, but highlights just how broad the range of products available today you can use to access your Pandora music. Samsung's Smart Hub interface is where you fine Pandora, and it offers a great listening experience with all the features you want, create and listen to stations, rate and skip tracks and so on. Obviously as a TV it has a number of other media consumption options that work very well indeed, and like the Roku can for the heart of a streaming media system for both audio and video.